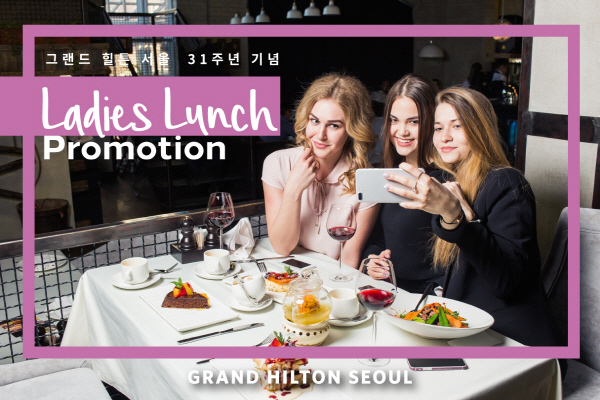 Grand Hilton Seoul’s signature restaurant, Buffet restaurant, will celebrate the 31st anniversary of Grand Hilton Seoul with the Ladies Lunch Promotion, which offers special benefits for women during weekday lunch buffet. This promotion is for women only. It is a promotion that offers a free meal for one person when total 4 people visit restaurant for lunch on weekdays except holidays. Also this promotion will be applied to guests who show promotion page of the Grand Hilton Seoul’s Facebook or Instagram you may enjoy the discount of up to 20 people. The buffet restaurant serves a variety of menus including Korean, Chinese, Western, and dessert, as well as promoting seasonal and themed food. Especially, until May 31st, you may feel the scent of the spring with magnolia and acacia tea of the famous tea brand “Ssanggye”. Magnolia tea, which you may feel its delicate scent, helps to increase immunity. Acacia flowers are famous for helping to control blood pressure as well as bronchial diseases and inflammation. You may taste sweetness by the black tea based and blending with acacia flowers and papaya fruit.